I've previously talked about one of my favorite companies, ThinkGeek, that produces the most unique and creatively designed nerdy merchandise out there. ThinkGeek had a large presence at Star Wars Celebration Anaheim with their merchandise booth and convention exclusives. In addition to their Star Wars exclusive items for sale, they offered press kits for members of the media that were attending the event. 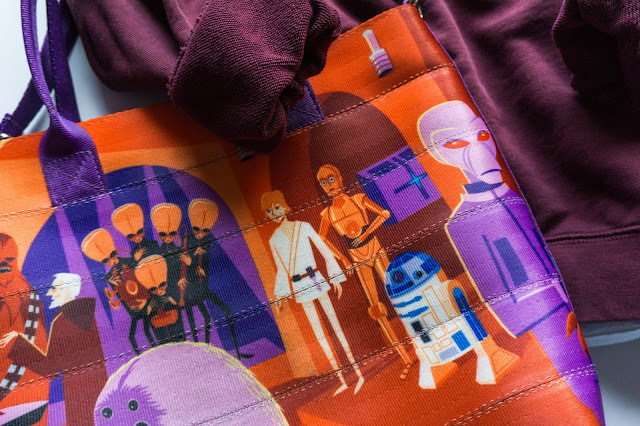 These kits came in the form of an Admiral Ackbar Mimobot and featured many of their new Star Wars products that will be released later this year. 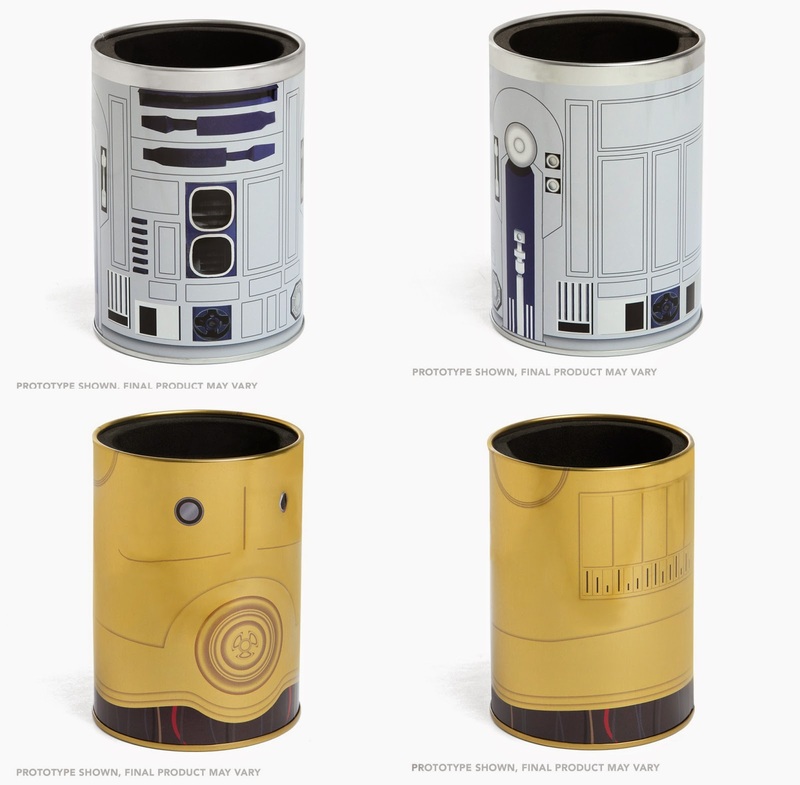 These R2-D2 and C-3PO Can Coolers will keep your drink cool in the upcoming Tatooine-like weather. 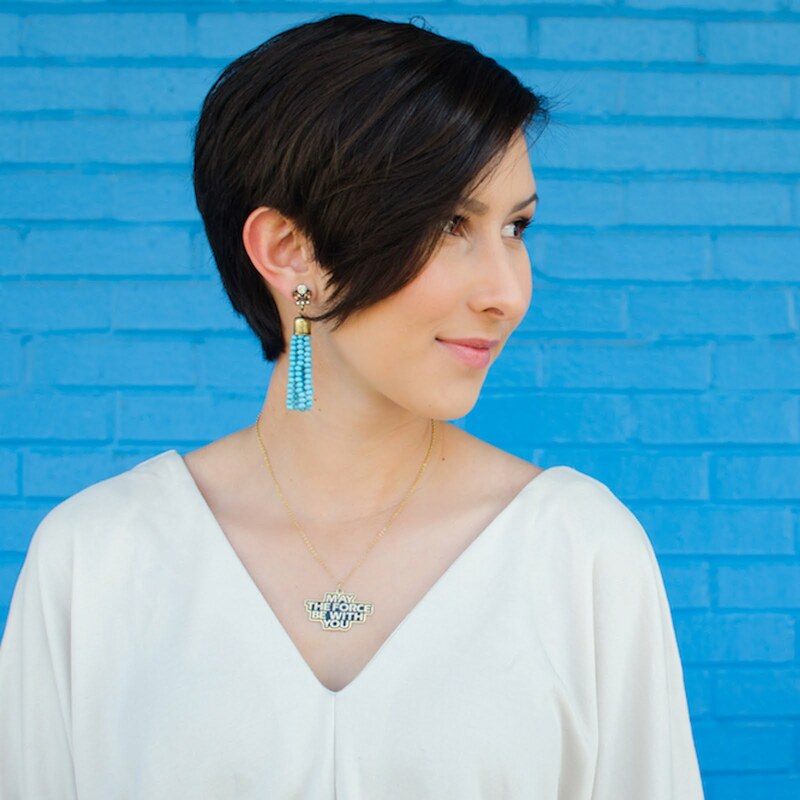 They will sell for $9.99 each and are slated to be available for purchase in late May 2015. 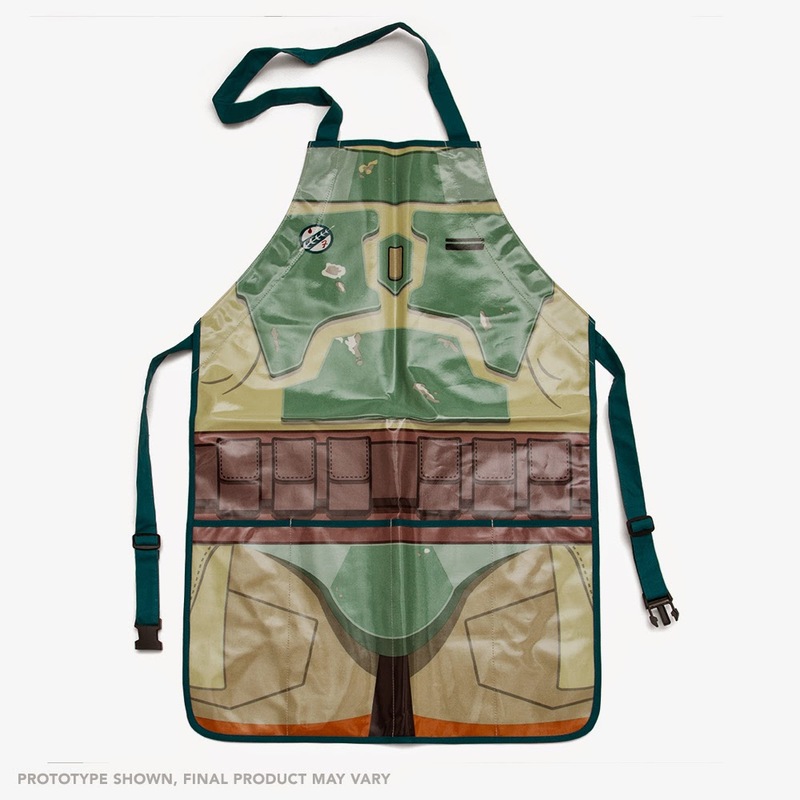 This Boba Fett BBQ Apron will keep you clean and tidy for those future bounty hunting missions. The durable apron will sell for $29.99 in late July 2015. 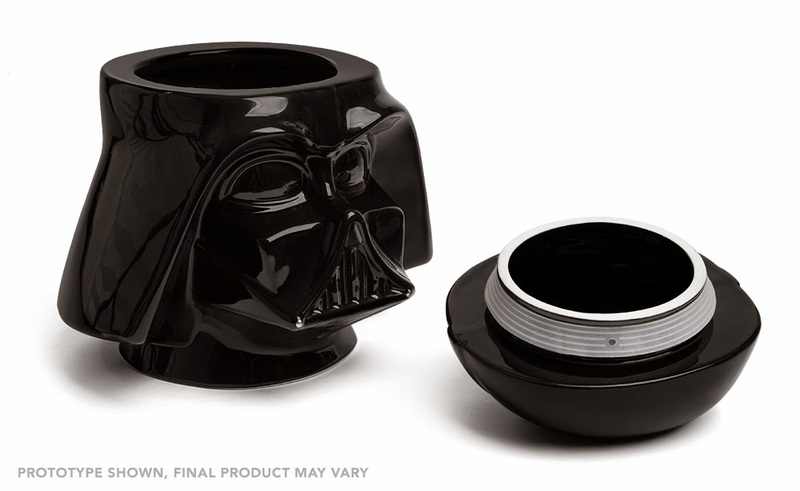 Yes, the Dark Side has cookies and you'll need to store them in this Darth Vader Cookie Jar. You can find this cookie jar in early August 2015 for $29.99. Your kitchen can represent the good guys or the bad guys with these Millennium Falcon and Death Star Cutting Boards. They will retail for $29.99 each in mid-August 2015. 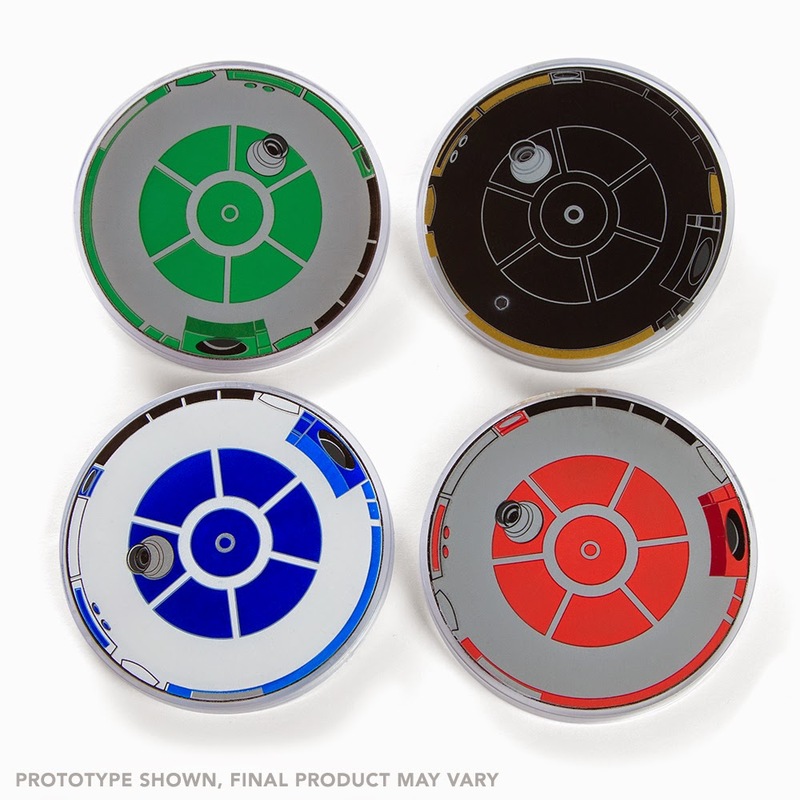 This Astromech Lighted Coaster Set is subject to be sold at $24.99 with the targeted release date of September 2015. They will be sold as a set of 4 coasters and each one will light up when a drink is placed on it. 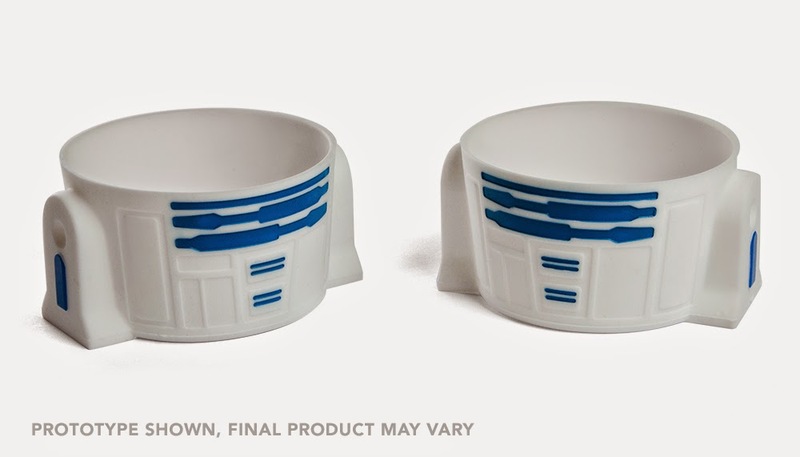 These silicone R2-D2 Cupcake Pans will be perfect for creating and decorating cupcakes that look like our favorite little blue droid. They are targeted to be released in mid-September 2015 for $14.99. This R2-D2 Bento Box is great for those of you who like to pack lunches for school or work. It even features a Death Star imprint to make your sandwiches even more awesome. The price for this item is subject to be $14.99 and released in late September 2015. 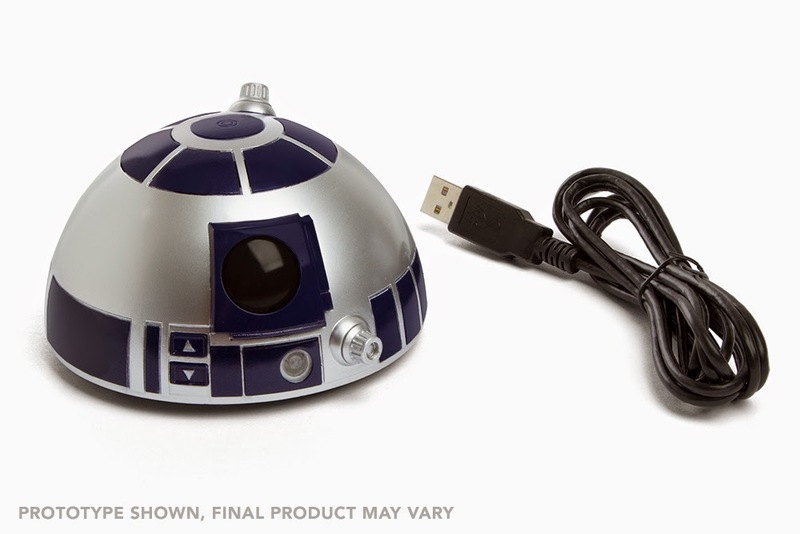 This light up R2-D2 Bluetooth Speakerphone can handle all of your important calls from now on, especially if they're about those precious Death Star plans. You can get this item for $49.99 around late September 2015. There can never be too much Artoo in your life. 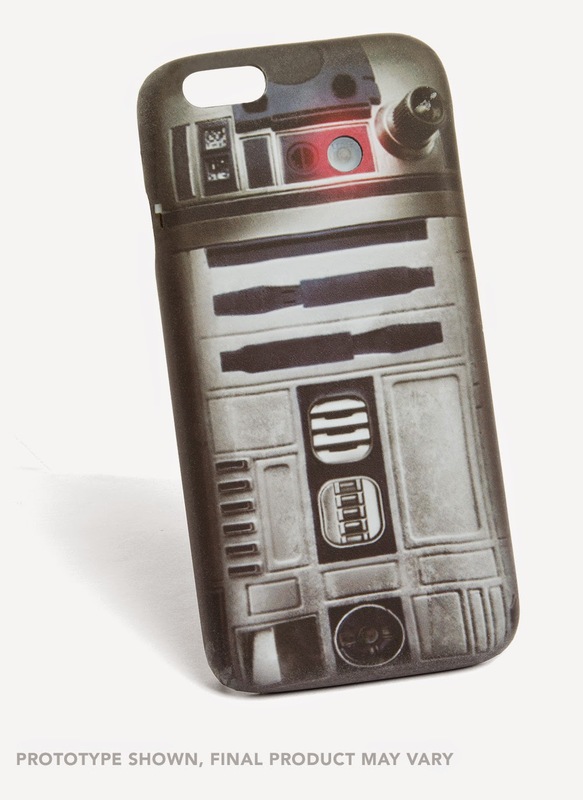 This R2-D2 Lighted Phone Case is definitely the droid you're looking for. There is no price or release date determined yet for this phone case so keep an eye on ThinkGeek for this one. 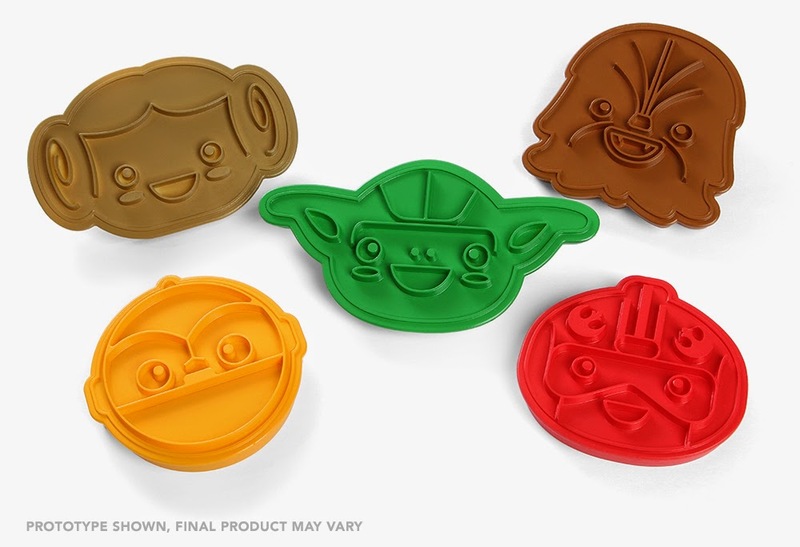 These kawaii style Rebel Cookie Cutters will help you become one with the force while snacking on delicious cookies. The set includes 5 cutters and will be available in early September 2015 for $19.99. If the Dark Side has cookies, then who do you think is making them? Stormtroopers, of course! 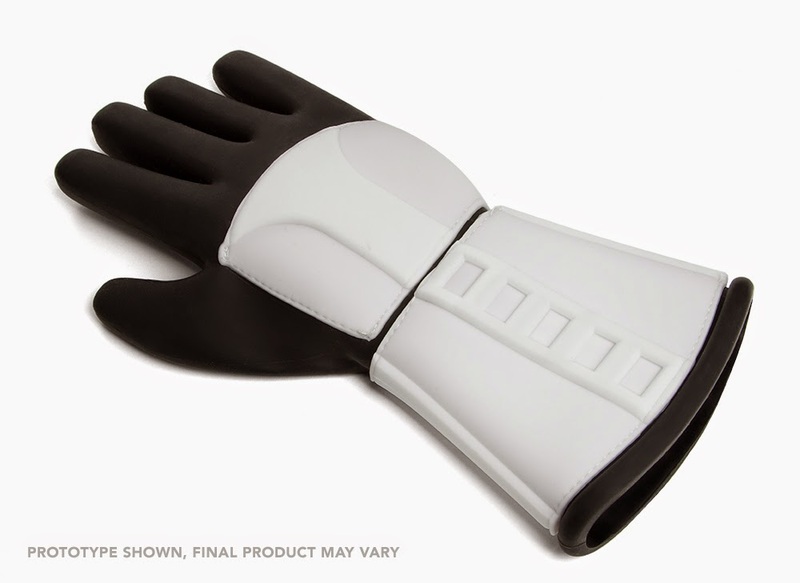 This Stormtrooper Oven Mitt will keep your hands safe while making sweet treats for your Imperial friends. Look for this product in early September 2015 for $14.99. I'm especially fond of all the kitchen items that will be released soon. I don't cook or bake very much but I will start doing that more if Star Wars stuff is involved! While you're waiting for these awesome pieces to come out, take a look at Think Geek's Star Wars products that are currently online HERE.